I had an amazing opportunity to be able to go to London for a few days to experience the Olympics and watch the Grand Prix Special. It was truly incredible. The atmosphere in the city reminded me when Vancouver had the Winter Olympics. Everything is just buzzing around including the people. There is just this fantastic vibe everywhere you go. 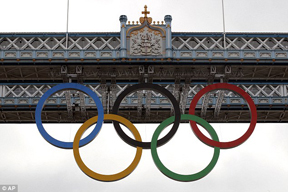 London was so well organized you almost didn’t know that the Olympics were going on. All the underground trains ran like clockwork. They had volunteers stationed all around the city to help you. Watching the Grand Prix Special made me speechless. Even though I have been in Europe for a few years now and trained and I know most of the competitors in the arena, it was just amazing to see everyone together coming in one after another, pulling out all the stops to be the best they could be on that day. I was proud of a lot of my friends who had made it to be there and watching one amazing horse after the other took my breath away. It is really amazing to see how every horse is different from the next, but all have something special. I really learned a lot watching and getting a feel for the atmosphere. All I can say is bring on Rio. I really hope Vitall and I are up and running and ready for it. After the Grand Prix Special, I went with a friend who I was there with to the Greenwhich Tavern, which is one of the local pubs in Greenwhich and it was close to the stabling so it became the rider hang out. I met up with fellow Canadians Pia Fortumuller, Jacqueline Brooks their family members and grooms. It was great to catch up with all of them and to hear the inside scoop from behind the scenes gossip. Really nobody had a bad thing to say about anyone, except just sadness for our jumping team, which I am sure everyone has read about. I fully support Eric for taking such a stand behind Tiffany. The rules are good ones but this was taken far too extreme! To wrap up my Olympic experience in one word would be FANTASTIC – a memory that will stick with me for life. On another note, I am happy to be back into my normal routine with my horses and being back at the gym. Both my horses were a bit annoyed at me that I had been away. It took them a day or so to forgive me, but now everything is back into the groove. Vitall is moving right along now into some work and Edward is going great. I sat on him the other week it was a blast he is such a neat horse to ride. I am really excited to see how he grows up and progresses. This summer is just flying by I can’t believe we are half way through August. Before we know it, it will be Christmas!